A Jacksonville Violation of Probation Lawyer can help deal with violations of probation. In Jacksonville, Florida, probation is used in lieu of a jail or prison sentence or a Florida Probation can follow incarceration. Often pretrial arrangements can be made with the prosecutors to avoid or reduce jail or prison time in which the criminal defendants receive a Jacksonville probation sentence instead of incarceration. If you violate your probation, you can be incarcerated. In Jacksonville, a violation of probation charge is very serious, because you can be sentenced to the maximum penalty associated with the crime that you were originally charged with. Many judges frown upon a criminal defendant that violates his Jacksonville probation and it can make it more difficult to obtain favorable results when a probation is violated. There are reasons and justifications for some violations and these can be taken into consideration in assessing a penalty. It is important to have a Jacksonville Violation of Probation Lawyer represent your interests if you have violated probation. 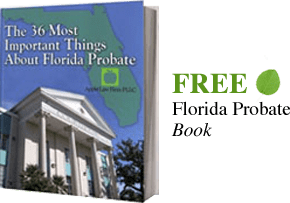 It is best to have a Violation of Probation Lawyer working on you case before the Jacksonville probation officer files the violation affidavit. A Violation of Probation Lawyer can prepare for a possible violation of probation charge before the case ever makes it to the courtroom. The standard of proof for a violation or probation is "willful and substantial". That means you the prosecution has to prove you willfully and substantially violated your probation. You are entitled to have a Violation of Probation Hearing where you can explain your side of the story. Our probation attorneys have a thorough understanding of Florida's probation laws and what violations rise to the level of willful and substantial. If you know you are going to be violated, contact an experienced probation criminal defense attorney. If you have violated your probation in Jacksonville or the surrounding areas, contact a Jacksonville Violation of Probation Attorney by email or call (904) 685-1200.